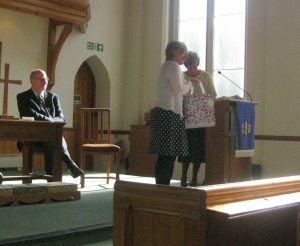 On Saturday 25th March the Moderator,Revd Steven Faber, led a moving service of thanks for the four-year ministry of Mhari McLintock at Abbey Hill. 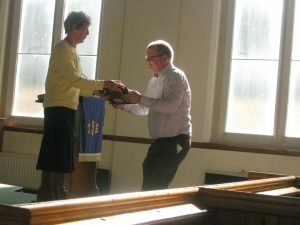 An engraved Quaich was presented to Mhari as a memento of here time here. 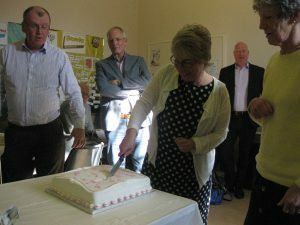 The service was followed by fellowship with refreshments. Hugh is remembered as well. 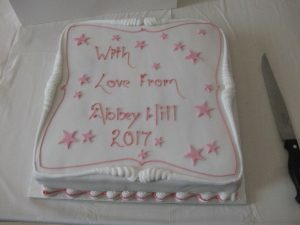 Thank you, Abbey Hill friends, for hosting such a special ‘good-bye service’ for Mhari. Your words of appreciation were lovely and heartfelt. It was a pleasure to be there. Best wishes for your onward journey as a fellowship. P.S. the tea and cakes were well up to your usual high standard!